We are highly instrumental in providing Lighting Corporate Mandap Decoration on Rent for our valued customers. We are offering these services with the help of highly talented professionals. Offered services are also checked on various quality parameters. These services can be availed from us within committed time period as per the need and demands of our clients. 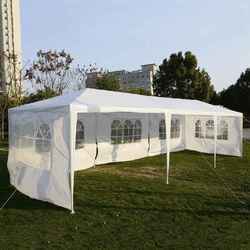 To protect your goods, event, restaurant, shops we provide services of covering your area with a bamboo and tarpaulin structure. 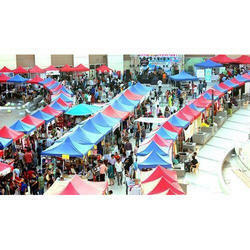 According to the customer’s requirements, we are involved in rendering Street Tent Rental Service. This 4 person tent with dimensions of 6.5fts x 6.5fts Height x 5.5fts is an ideal tent for a family camping in the wild. The tent is safe and hygienic. Minimum rental period is 4 days. Washing charges of Rs 150 will be levied extra.